The Target Saver: *HOT* $12 Off Grubhub Food Delivery Right to Your Door! 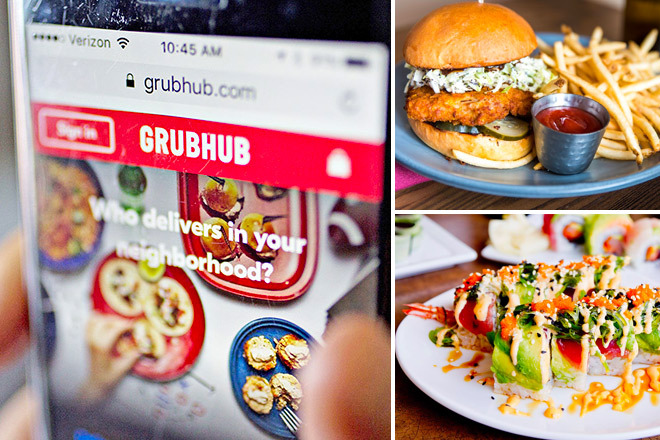 *HOT* $12 Off Grubhub Food Delivery Right to Your Door! For a limited time, you can score $12 off your first-ever order of $15 or more from Grubhub! Grubhub is a meal delivery service that allows you to place an order at local restaurants and have it delivered straight to you! This is perfect for busy weeknights, college students, or even when you don’t feel like leaving the house! By signing up you’ll receive a custom promo code good for $12 off your first-ever order of $15 or more! That’s almost half off a meal delivered straight to your door, with no more than just a few taps on your smartphone! You’ll also get access to reviews, coupons, special deals after signing up!